The Doctor can’t remember who she is... or that she’s even a she now. You wouldn’t happen to know one, would you? 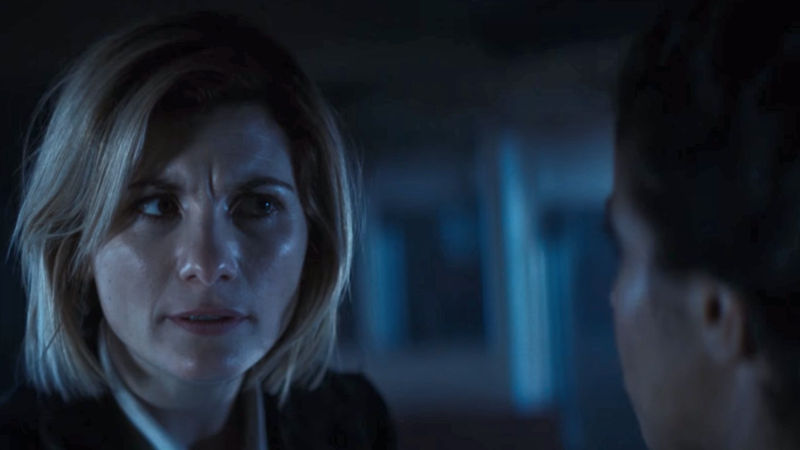 The BBC have just released the first extended clip from Doctor Who season 11's premiere episode, “The Woman Who Fell to Earth.” While it’s not a perfect indicator of what Whittaker’s 13th incarnation of the Doctor is going to be like—she’s still in a post-regeneration haze, unsure of who she really is or even that she’s a she any more...after all, as she says she was a white haired Scotsman not too long ago! Whittaker’s performance is the highlight of the clip, as she darts around trying to assess a creepy situation aboard a train, but it also introduces us briefly to two of the Doctor’s future best friends: Ryan, played by Tosin Cole, and police officer Yasmin Khan, played by Mandip Gill. Presumably whatever’s on that train is going to be weird enough that it’ll send them, alongside the Doctor, on the trip of a lifetime...and we can’t wait to see more. Doctor Who returns October 7.